In recognition of the evolving challenges to defense and national security, this year’s U.S. government budget for Research and Development of new capabilities and technologies added almost $3 billion over last year. Highlighted areas include autonomous systems, resilient navigation and communication and cybersecurity. At the same time, global interest and investments in space-based opportunities continue to rise — in 2016, the commercial space industry invested nearly five times more money than the U.S. government. Positioning Draper to best contribute within these markets, Jennifer Jensen is set to become the new Vice President, National Security & Space (NS&S), effective March 16, 2018. Draper's newly named Vice President of National Security & Space (NS&S), Jennifer Jensen. 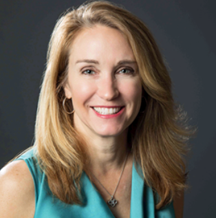 Jensen joins Draper from Sierra Nevada Corporation, where she was Vice President of Business Development for Communications, Navigation and Surveillance Systems. In that role, she built and sustained relationships across the U.S. Defense Department as well as commercial markets, which delivered nearly $1 billion in new orders for the company. Additionally, she transitioned several product lines from the military to the commercial market. Jensen began her career in the U.S. Army, where she broke gender barriers as the first woman distinguished honor graduate of flight school and one of the first women to transition to combat aircraft. She rose through the ranks rapidly and left active duty as a colonel. During her final position in the military at the Army’s Redstone Arsenal, she was responsible for the acquisition, implementation and interoperability of state-of-the-art aviation technology into existing and future Army aviation manned and unmanned aircraft. Jensen noted that joining Draper offers her the opportunity to enhance the company’s relationships across government and commercial sectors.